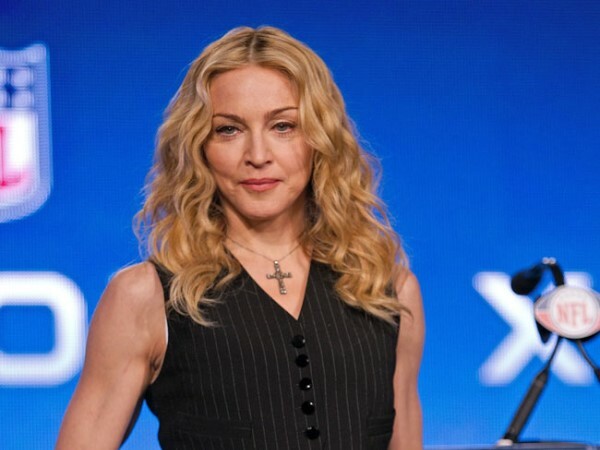 Madonna is on crutches after bruising a bone in her foot from dancing in high-heeled shoes. Madonna is on crutches after falling over in high heels. The 55-year-old singer was seen "hobbling in pain" into her New York home and though she has recently been skiing in Gstaad in Switzerland and partying in Rotterdam, Netherlands with boyfriend Timor Steffans, it seems her injury was caused by some energetic dancing. Her spokesperson told the New York Post newspaper, "She bruised a bone in her foot from dancing in her high heels .?.?. she'll be fine and off crutches in a week." Madonna isn't the only star to experience problems from wearing high heels. Kelly Osbourne has previously said she falls over a lot when she wears towering footwear. She said, "I'm double-jointed everywhere, I think that's why I'm so accident prone. Tight jeans and high heels equals one of my hips popping out and my face on the floor." And Sarah Jessica Parker has admitted a doctor told her she had "created a bone" in her foot from wearing high heels. She said, "I went to a foot doctor and he said, 'Your foot does things it shouldn't be able to do. That bone there... You've created that bone. It doesn't belong there.' "
And Victoria Beckham admitted to needing surgery because of bunions - a bony bump at the base of the big toe joint. She said, "The attention on my feet really was embarrassing. I think I'll have to have the surgery, but I've heard it's the most painful."